Let me introduce Outta the Box!, the improvisation wing of Theatrix Group. Our fledgling just-out-of-the-nest (or box!) troupe will perform its first-ever show, “Outta The Box Presents”, for a living, breathing audience at the Book Café on June 20, with the curtain going up at 7:30pm. Don’t miss it! Fun and laughs for everyone, for a mere B150. Where did Outta the Box come from, you may ask? Well, it all started when an angel appeared to a virgin in Naz… Oh, wait, no, that’s another story. Let me see. 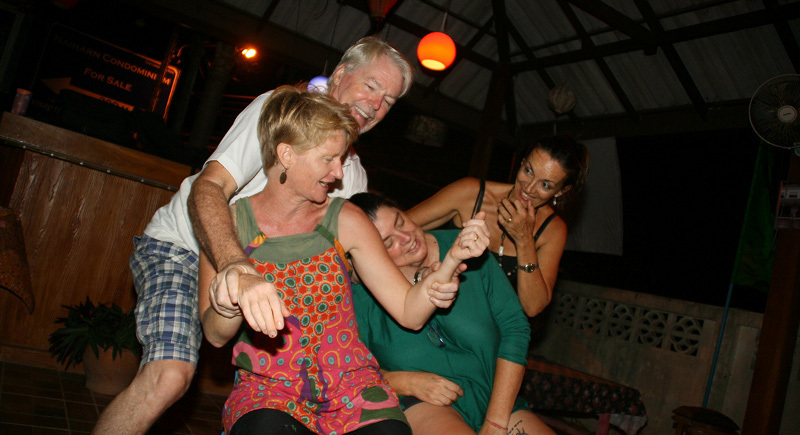 Oh, yes… it all started when I, Joel Adams, came to Phuket. It was written in the stars that I would have the privilege of cooperating with Oasis Ed. 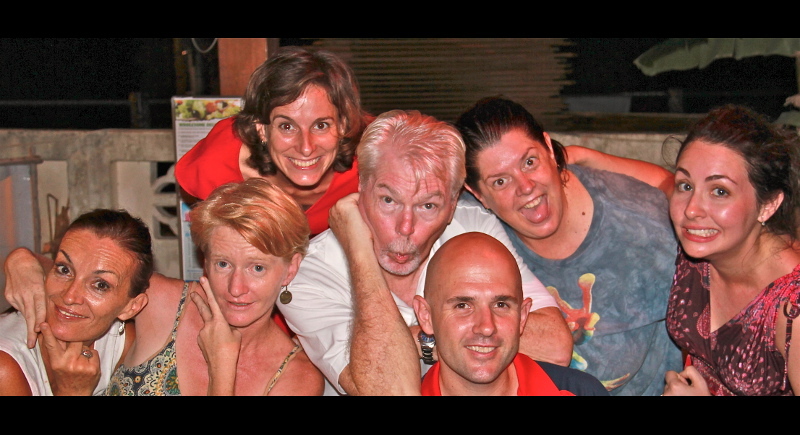 Phuket and Kez Jennings to form a rag-tag crazy troupe of improvisational actors. The only requirement has been to show up and be crazy enough to believe that theatre can be made out of thin air with no preparation… and then to get ‘in the moment’ and try it. We as artists believe that the furtherance of the theatrical arts promotes culture and stability in our ever-changing world, blah, blah, blah… To tell you the truth, we’re addicted and can’t stop ‘cause it’s so much fun. Improv is fun to perform and a blast to watch. Now we’re ready (or sincerely hope we are) to show you our chops. We love this crazy, fun form of acting with its unpredictability, zany games and outlandish situations, and we want to invite you to ‘let us entertain you’ in the words of that other great improviser, Gypsy Rose Lee… or was she something else? What can you expect when you come to an improvised, interactive evening? We’re not sure and that’s half the fun of it. But we do know you’ll get a chance to write lines, suggest scenarios, pause-fast forward-slow down and otherwise control scenes… and more. Nothing is planned or memorized. Everything happens on the spot, so what you see has literally never been seen before nor will be again! Don’t miss it! Come out to see our show on June 20 and then join us, if you will, at one of our two locations weekly.